Opening Day of the 2015 Los Alamitos Summer Thoroughbred Festival features an 8-race card highlighted by the $100,000 Bertrando Stakes which goes as the seventh race on the program. The summer meet runs from July 2 to July 12 and racing will be conducted on a Thursday through Sunday basis with a first post of 2:15 pm pacific time. The first two days of the meet show a good amount of entries which should lead to some good betting opportunities. Friday: The first 5,000 fans, with paid admission, will receive a print featuring Triple Crown Champion American Pharoah. 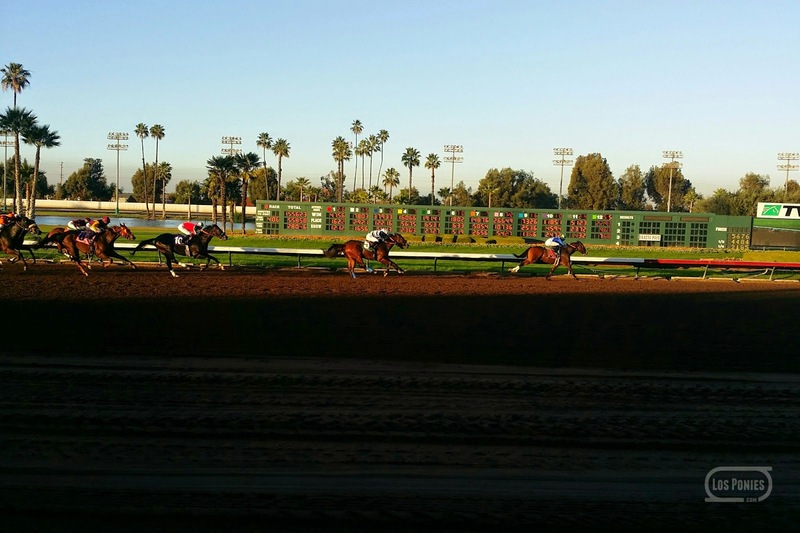 Saturday: The running of the GII Los Alamitos Derby. A Shared Belief (winner of 2014 Los Alamitos Derby) T-shirt giveaway with paid admission while supplies last. #4 Twelve Folds has been running against much tougher. I will give her a pass for her last two efforts. Her effort from earlier in the year fit well against these and she does have previous racing experience over this track. #8 Big Hat Charlie is taking another drop in class and is making his first start as a gelding. He's got enough speed to stay close to the leaders early on. #3 Esmeralda Belle has shown some talent but has not been able to get the maiden win in three starts. She lands a field which lacks early speed and I think she can take them gate to wire. #5 Cowtownmary ran a good second in her first start in over a year. He showed good speed and was over four lengths clear of the third place finisher. A repeat effort makes him the one to beat. #2 Rainsford was claimed at a higher price tag, he's running as a first time gelding, is lightly raced compared to most of this field, is facing the lowest class level of his career, and returns to the distance of his only win to date. #3 Jacksons a Bobcat has success at this distance and has performed well against speedy quarter horses in mixed races at 870 yards during the night programs. He has a good chance to run them down if he can stay close enough to the leaders early on in the race. #1 Spirit Rules finished a good second in this race last year when setting the pace before getting passed in the stretch. I like that he once again drew the inside post. A good break from the rail should allow him to once again try to take them all the way. #7 Lily Pod has a good set of workouts including a sharp 6-furlong work on June 19. Her trainer is having a great 2015 and she has top rider Rafael Bejarano taking the call.